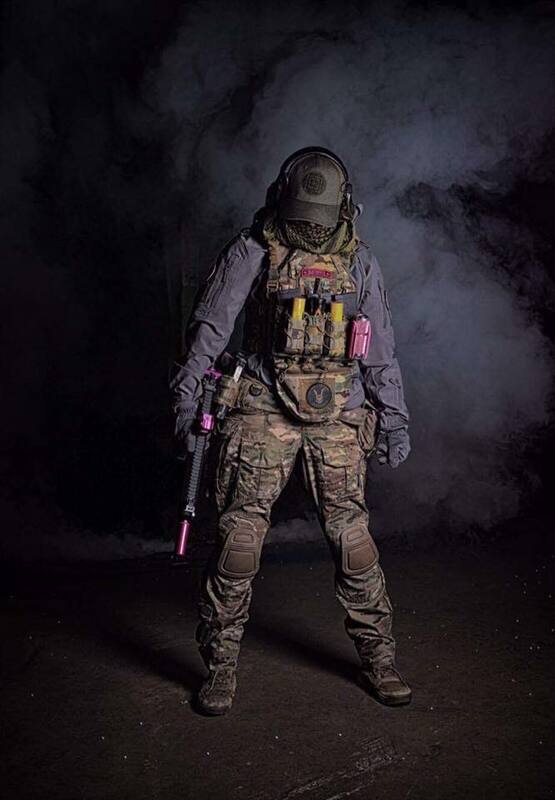 INTERVIEW WITH NO NONSENSE AIRSOFT NEWS AND REVIEWS! NNA: Great to get back and see how you are, kicking off the questions, tell us a bit about how the blog and pages have grown since we last spoke. FFA: Since we last spoke, the blog has gone from strength to strength and our readership has grown 7 times what it was in 2015, my Instagram account has almost 40,000 followers making it the 3rd most popular Slaydie Instagram in the world and FFA has been runner up for 'Best Airsoft Blog' in Popular Airsoft's 6th and 7th Player Choice Awards. All this wouldn't be possible without the people who choose to follow this crazy adventure I've embarked on and I just want to extend my gratitude to them, they allow me to live my dreams day in and day out and I'm super grateful for that. NNA: Something we brought up in the last interview was MilSims. At that point there were a few in the pipeline but you were solely a skirmisher back then, so what events have you been along to over the months, and which ones stand out the most and why? NNA: An airsofter would be nothing without their kit (except naked), and I've noticed that your kit has changed exponentially. Would you care to give us an insight into the different iterations of your current setups? FFA: I have a couple of different loadouts/set ups and I switch between them depending on if I’m playing a MilSim or if I’m just playing a Skirmish. 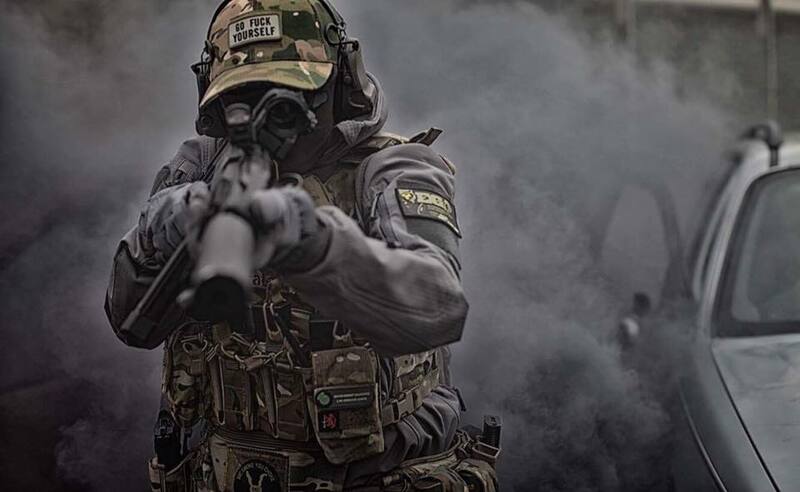 Skirmish: MultiCam, Ranger Green or M81 BDUs with a Pentagon Artaxes Soft Shell in Wolf Grey, Wolf Grey Mechanix or black gloves, Warrior Assault Systems Recon Plate Carrier in the Shooters Cut with 3 x M4 mag pouches, 3 x Nuprol Pistol Mag pouches for pistol mags, smokes and flashbangs, a Kydex holster for my tri-shot TRMR and a WAS Cargo pack all in MultiCam. I also wear the WAS PLB Battle belt with a universal pistol holster, 2 x polymer pistol mag pouches, an M4 polymer mag pouch, a dump pouch, a medic pack and 2 x Grey Ghost Gear 40mm pouches all in MultiCam too. For a MilSim, depending on the side camos I will wear MultiCam, MultiCam black, Ranger Green or M81. If I wear MultiCam black I’ll use my Viper Laser Cut JPC and battle belt with all the trimmings and if it’s any other Camo I’ll use my MultiCam gear but swap the panel on the PC for a Haley Strategic D3CR-X chest rig panel! NNA: If you could pick out one item of equipment you've used, what would it be and why? FFA: My TRMRs. I love things that go boom and the TRMR is a reliable, reloadable BFG that helps gain entry into difficult rooms/buildings. Grenades can mean the difference between winning or losing a game. I want to get in that room and take the objective so these are super handy for getting into rooms fast. NNA: One of your main ambitions within the community was to get more ladies involved in the sport. Judging by the amount of extremely popular UK based Instagram pages that have cropped up since we last spoke, I'd say that you've been very successful in that, what's your thoughts on the rise in numbers of female players? FFA: I love it. When I started I barely saw women on the field and now it’s rare that I go to a game day and don’t see 3-4 other slaydies and it’s fantastic. I get a lot of messages from Slaydies all around the world saying that I inspired them to play and that is an awesome feeling. I am really proud of how FFA has inspired so many women to take up the sport. This surge in numbers is great exposure for female players and means that seeing more women on the field is seen as normal, and women are respected instead of being seen as ‘lesser’ players. NNA: Since you started airsoft, what's the best site you've played at? To develop this, which organiser puts on the best days, which site has the best features and who does an all-round good job? FFA: My all-time favourite site was SWAT Fortress in Liverpool – it was an old tobacco factory that had offices, warehouse space and an outdoor space for players to fight through and it was super close CQB, unfortunately it closed in early 2016. Since then my favourite haunts have gone on to become Strike Force CQB in Gloucester, Wentworth CQB in Rotherham and The Gaol in Oakham – these sites by far put on the best skirmish days. In regards to MilSims, it’s a pretty close toss-up between Stirling Airsoft and Warzone Battle Simulation. NNA: Looking to the future once again, what are your plans for the rest of the year and beyond? FFA: So this year is a MASSIVE year for Femme Fatale Airsoft. I quit my full time job in January 2017 to work on the blog full time, which is super scary and exciting! 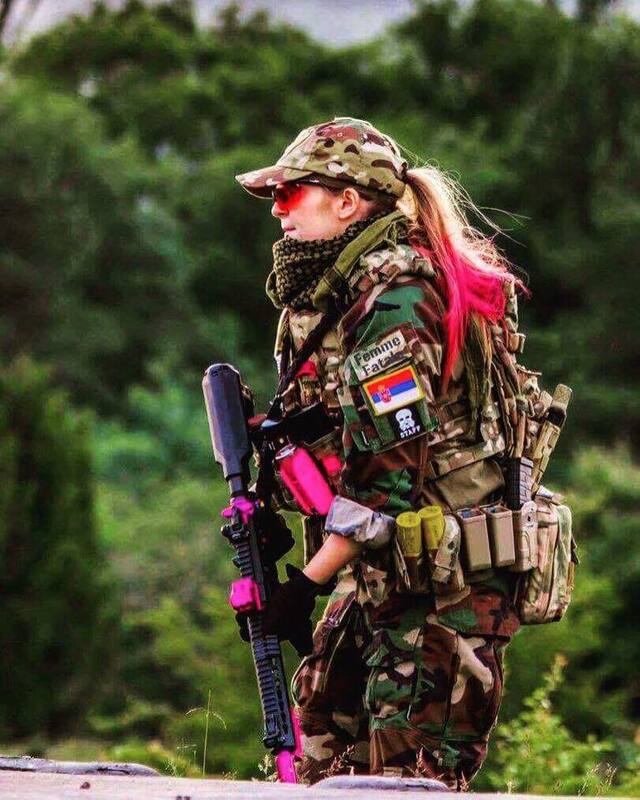 I’m currently in the US visiting Unicorn Leah and Jet Desertfox for 6 weeks to travel the States and experience American Airsoft. 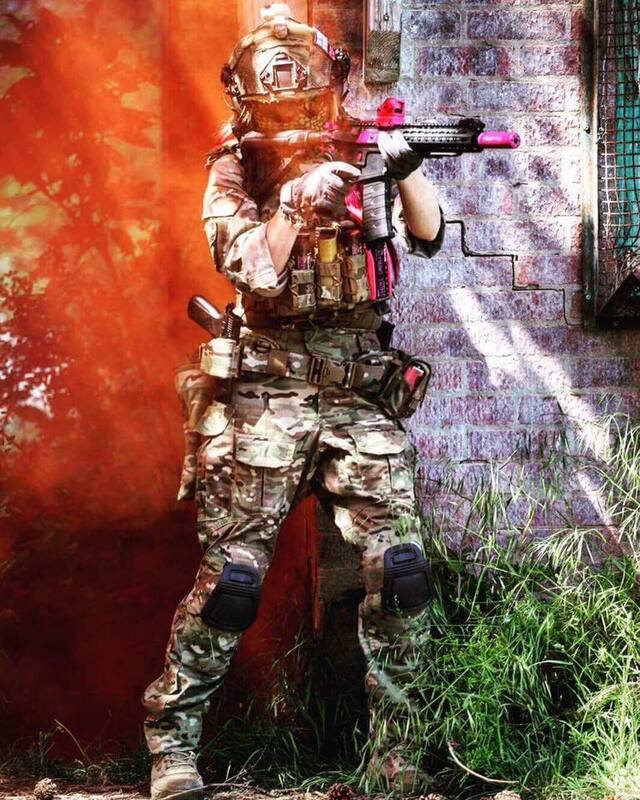 I’ll also be travelling to Taiwan for the G&G CQB Championships shortly after my return to the UK so this year is all about travelling internationally and building the Femme Fatale Airsoft brand. NNA: And finally, what's your favourite flavour of Ice Cream? FFA: Okay so I have two favourite flavours of ice cream and cookies and cream and cookie dough. I f*cking love cookies. Photography thanks to James Murray and John Wright.